We first met Kimo in 1992. We did not see her after 1994, so we have recorded her as "Missing." 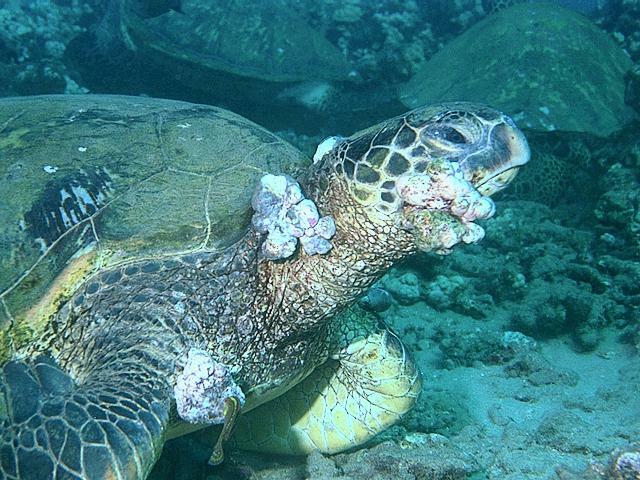 At the time, Kimo was the most heavily afflicted turtle we saw regularly--but there were turtles with worse tumors.